Staging at the mall begins at 10:30 a.m. There will be law-enforcement personnel will provide traffic control along the route. Organizers advise this is a third- or fourth-gear ride. In total, the event may last until 2:30 p.m. "Bring your honor, respect, and tissues," writes event organizer and Vietnam War veteran Dave "Rabbi" Decker. "Iowa Thunder started as a one time deal in 1990," says Decker in an e-mail note to the Red Bull Rising blog. "Due to support and encouragement from prior military and the civilian sector, it has grown and now encompasses an hour-long presentation as well as the motorcycle tribute. Our mission statement at Iowa Thunder is to insure the honor and respect due all veterans is never forgotten." The Iowa Thunder organization also runs an outreach program called "RECONN," which stands for "reconnect." Says Decker, "Our methods are simple. We go to the veteran [experiencing symptoms of Post-Traumatic Stress Disorder] rather than making him go to the big brick building in Iowa City or where ever. Our intent is to rebuild trust and foster hope that things will get better." For a Facebook page for the 2014 event, click here. 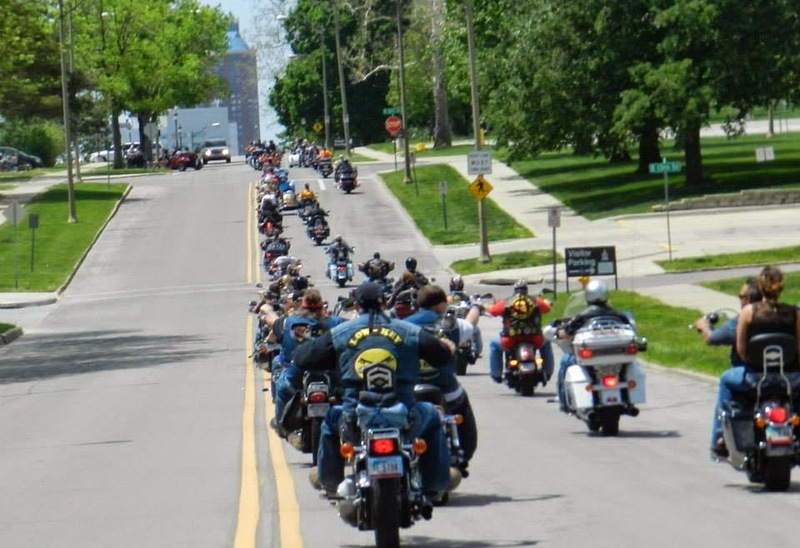 For an Facebook page for the Iowa Thunder Ride organization, click here.